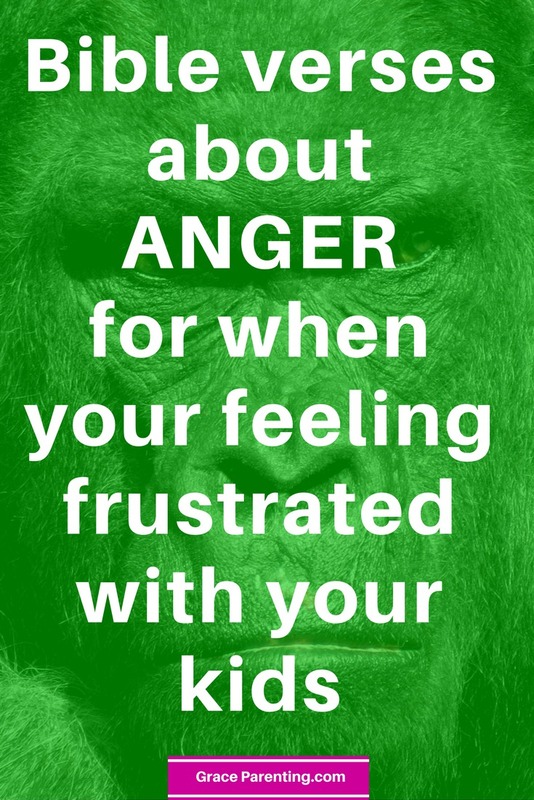 We all struggle with angry feelings sometime, you are not alone! But, that doesn't mean you have to succumb to those feeling, and react in ways that you later regret. You can overcome those feelings, and your reaction's with help from God's word. 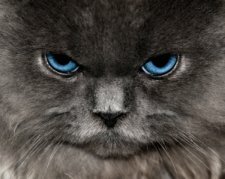 When your feeling like this cat looks, read a bible verse! It will help you put your claws back in, and prevent you from pouncing on your precious little kitten's! God's word will help you become a mom who meow's and purr's with love. You will be a mother that kids enjoy to cuddle and snuggle with. You don't wan't to feel, or look like this cat! Your kids will be greatly effected by how you feel and act so, the most loving thing you can do is learn how to deal with your own anger, even when you are feeling tired and frustrated. The Lord can give you the peace you need to overcome your anger. This is one of my biggest struggles. When I'm tired, I can be a big grouchy bear, and shamefully my kids have felt the consequences of my wrath. But, over time, I have been able to arm myself with scriptures, to win the battle (most of the time;) against over tiredness and crankiness. This is the day that the Lord has made and I will rejoice and be glad in it! I have witnessed in my own life that, when I'm happy, my kids are happy, too. Below, are a few bible verses that describe what anger does, how it effects our lives, and why we should not have this behaviour. People with understanding control their anger; a hot temper shows great foolishness. Human anger does not produce the righteousness God desires. Control your temper for anger labels you a fool. A hot-tempered person starts fights; a cool-tempered person stops them. Don't sin by letting anger control you. Don't let the sun go down while you are still angry, for anger gives a foothold to the devil. Get rid of all bitterness, rage, anger, hash words, and slander as will as all types of evil behavior. Instead, be kind to each other, tenderhearted, forgiving one another, just as God through Christ has forgiven you. Stop being angry! Turn from your rage! Do not lose your temper- it only leads to harm. The wise are cautious and avoid danger; fools plunge ahead with reckless confidence. Short-tempered people do foolish things, and schemers are hated. Sensible people control their temper; they earn respect by overlooking wrongs. An angry person starts fights; a hot-tempered person commits all kinds of sin. As the beating of cream yields butter and striking the nose causes bleeding. So stirring up anger causes quarrels. Being an angry mom is not God's perfect plan for your life. He want's you to live in peace, and that means being in His perfect will. It, can be very difficult sometimes if, you are like me, and a bit of a control freak. But, the Lord new, there where always going to be people like me. That's why he gave us the Holy Spirit. Wow, what a gift! I would be completely helpless in controlling my anger with out him. I have learned over the years, that it is me who sets the atmosphere in my home. Once, I got this it changed everything. I stopped blaming my kids, and circumstances, and began to take responsibility for my behaviour, and began to seek out the Holy Spirit to help me. Holy Spirit taught me how to not let my emotion control me, but how to became the master of them. Yes, many times I slip up, but knowing scriptures helps to put me on the right track. Overtime, it became clear that when I am at peace, my home is a peaceful place, too. God is so gracious to give His peace and strength to keep you, and me calm, one day at a time. Get enough sleep - Tiredness is a breeding ground for anger. Make sure your kids are sleeping so, you can get to bed earlier. Turn off electronic's one hour before sleeping. You should be getting 7 to 9 hours of sleep each night. Start a gratitude journal - Begin journaling each day to remind yourself how blessed you are. Journaling will give you practise in thinking about how you can stop letting the little things turn into big issues that pave the path to anger. Scripture Cards - Print out, or write your own cards with bible verse that help you to stay calm and joyful. Place them around the house in hot spots, where blowup's happen like the kitchen, or the bathroom. Then, your prepared when your feeling like you might explode into a raging grizzle bear. Never give up on this, you can make the changes God is putting on your heart to do. Just, keep at it, one day at a time! If, you like this post please, pin it!